A five-mode light source is examined, in which four or five monochromatic frequencies are simultaneously generated in nonlinear periodically poled nonlinear crystals (PPNCs), taking into account pump depletion. It is shown that such light sources are promising for use in high-precision spectroscopy, quantum measurements, and digital processing of quantum ghost images. 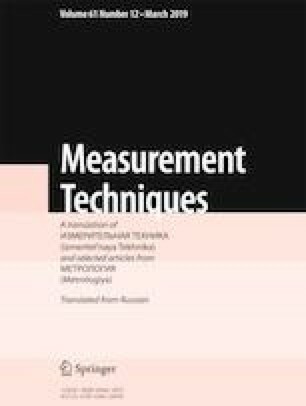 A technique is proposed that makes it possible to calculate the parameters and characteristics of the generated radiation, its intensity, and photon statistics that are necessary for carrying out correlation measurements in photon counting mode. The results of calculations of the statistical parameters of multiplexed ghost images are given. Translated from Izmeritel’naya Tekhnika, No. 12, pp. 33–37, December, 2018.